Ready for a flat iron that’s great for thick or curly hair, and will stay hot? This is the iron for you! 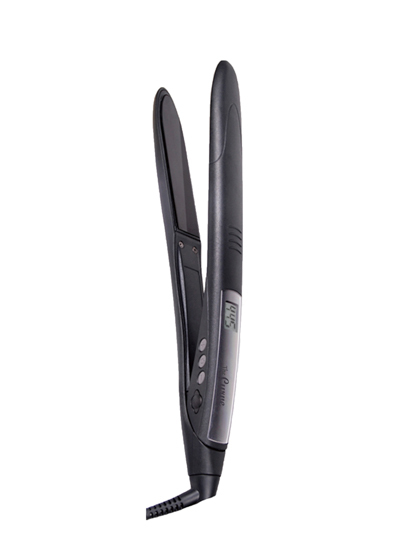 , It heats up in 60 seconds, has a power indicator light, and contains titanium plates (which provides even heat distribution while styling hair). Most irons displace heat into the hair, and have to work to recover the heat into the plates of the iron. However, the Curve has the ability to recover heat faster and keep a consistant heat flow as it glides throught the hair.